Is Speeding a Criminal Offense in Illinois? Is Speeding a crime in Illinois? 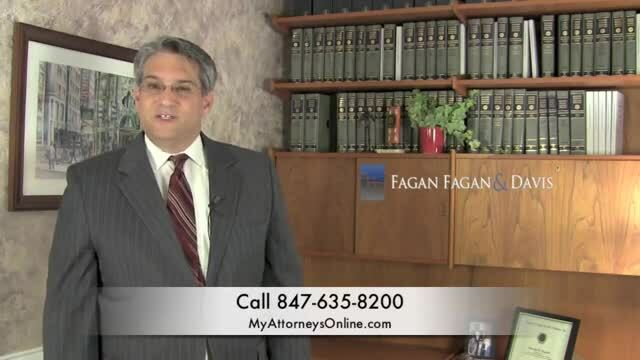 Transcript: Welcome, I'm Steve Fagan, from the Law Firm of Fagan, Fagan . I am a criminal, DUI and traffic defense attorney here in the state of Illinois. Join me for a minute while we talk about that question, Can speeding be a crime in Illinois? The truth is most of the time is considered a petty offense. Petty offenses are punishable under the law by fine only. So what can make speeding a crime? Well, a couple years ago the legislature here in Illinois decided that anyone caught speeding 31 MPH or above would be subject to criminal penalties. [Edit: since this video, speeding 26 MPH or more over the limit is an Illinois criminal offense]. What are criminal penalties? That means jail is a possibility. From 31-39 MPH above the speed limit, you can be found guilty of a class B misdemeanor, punishable by up to $1500 in fines and up to 180 days in jail. [Edit: since this video, class B misdemeanor offenses run from 26-34 MPH over the speed limit]. However, for that class of offenses currently supervision is available. Supervision will not permanently remove anything from your driving record it is going to avoid a conviction on your record. With that said the legislature has also decided that 40 MPH above the speed limit and more is what's called a Class A misdemeanor. [Edit: since this video, class A misdemeanor offenses begin at 35 MPH over the limit]. A Class A misdemeanor is punishable by up to 364 days in jail and up to $2500 in fines, plus court costs. Unfortunately in this case, a sentence of supervision is not available because the legislature decided to not make supervision available for that kind of offense. That means if you're found guilty of going 40 MPH above the speed limit in Illinois, you cannot get supervision, you must be convicted and you will have a criminal record. [Edit: since this video, the offense of Aggravated Speeding in Illinois is eligible for supervision under certain circumstances]. That's why it's so important that you consider finding the best possible attorney you can to help with your defense in a criminal speeding ticket. Thank you for joining me, my name is Steve Fagan, from the Law Firm of Fagan, Fagan & Davis. Call us if we can help you. Again thanks for joining me today.